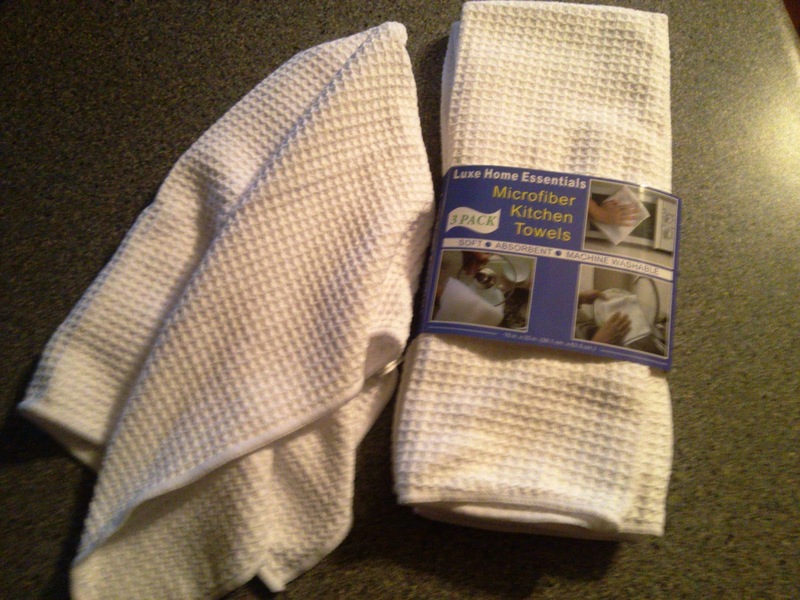 The Luxe Home Essentials Microfiber Dish Towels come in a 3-pack of 15 x 25 inch kitchen towels. This microfiber is the real thing - not a cheap knockoff - and can hold up to 10 times its weight in water! After I soak up spills, instead of a sopping weight towel, the towel just seems damp. The cloth material is super soft - I actually use these towels more for drying my hands after being in the kitchen rather than on dishes or cleanups since it is so soft on my hands! But the material is also very gentle for countertops, dishes, and any other kitchen needs. Besides my grandmother's embroidered dish towels, these are the nicest towels I own. Other kitchen towels are scratchy or thin, but these are plush, absorbent, and look nice with the white checked design. Plus they're very affordable and you get three in a pack!